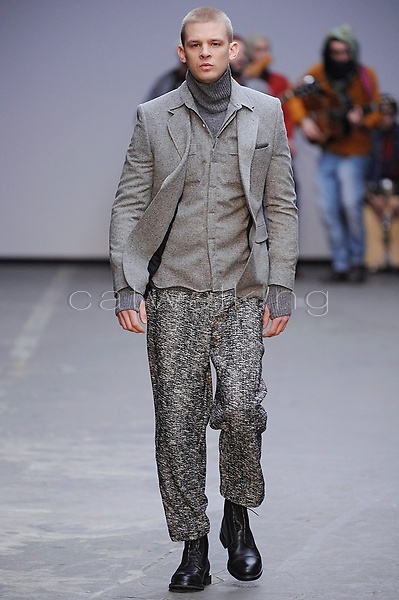 London Collections: Men was back for its sixth season and the latest deliveries from the designers prove that menswear is stronger than ever for AW15. Celebrating the best of British design, the catwalks paraded an influx of rugged shearling coats, heavily constructed knitwear, and flashes of the bold new it-colour. Take a look at the top 5 trends straight from the catwalk. 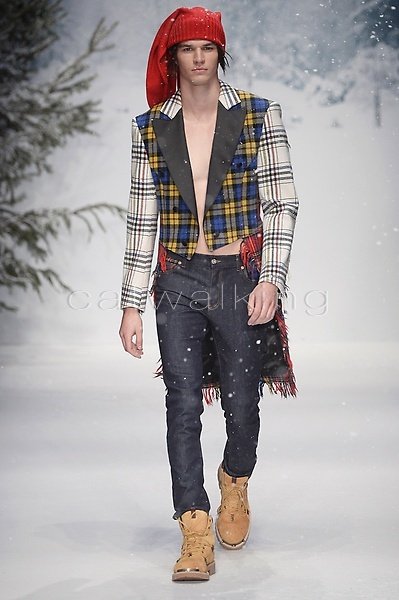 Spotted at Moschino, Astrid Andersen and Topman, tartan is no longer reserved for only Scotsmen. From custard yellow and sea blue kilts at Moschino, to gloomy toned checked shirts in textured fabrics, tartan appeared in the form of any item you could find inside your wardrobe. 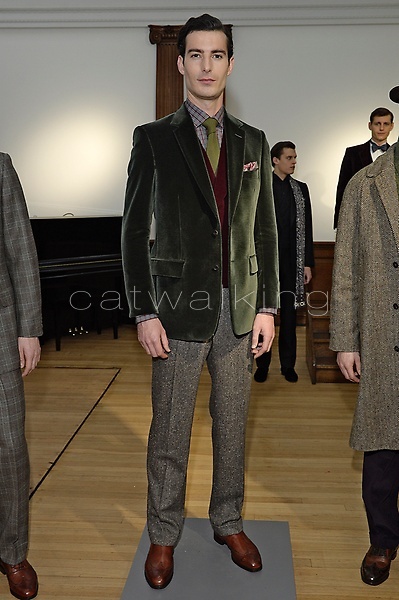 Top-Left Aquascutum AW15, Top-Right Barbour AW15, Botton images Pringle of Scotland. No longer reserved for Essex boys or 1960s Beatles fanatics, polo necks have been creeping back into many men’s wardrobes for a couple of years. 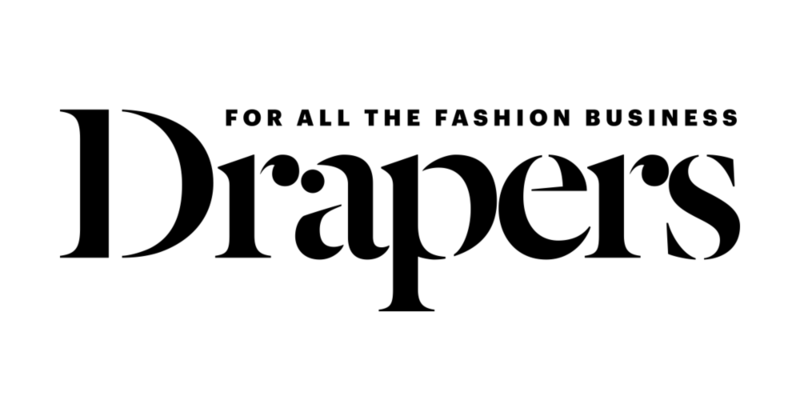 Adopted by the designers, they have been reinvented in classic thin cotton, merino wool or distinctive chunky textures. Appearing in a kaleidoscopic variety of colours throughout LC:M, the hardwearing shearling coat is back. From powder blue at Burberry to cocoa brown at Dunhill, investing in a shearling car coat is an easy way to nod towards the seventies trend without looking like an extra from a 1970s TV drama. Top images Thomas Pink, Bottom images Sibling. 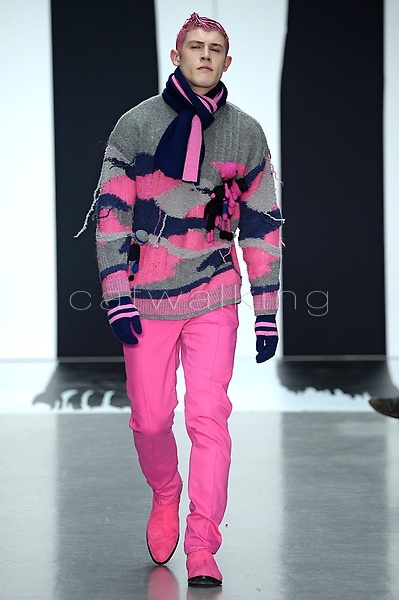 If one thing is clear from the AW15 collections at LC:M is that colour is no longer gendered. 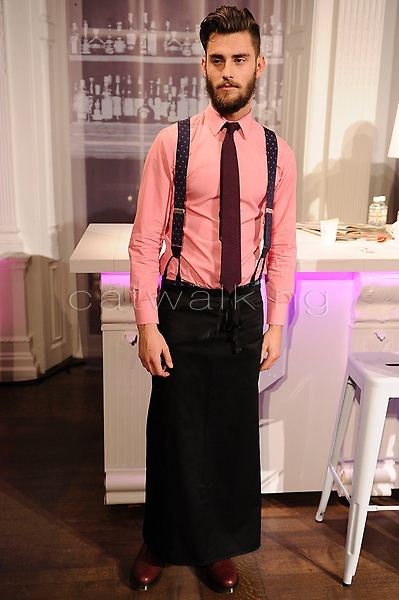 Pink made bold appearances at Thomas Pink and Sibling. Tones of Fuchsia, blush, rose, and magenta flashed through the classically muted autumn/ winter colour palette in the form of anything from coats to ties. Top Left Ede & Ravenscroft, Top Right Oliver Spencer, Bottom Images Hackett London. The need to buy a matching blazer and trousers can be completely erased for the new season: it’s all about mixing and matching. Seen at Ede & Ravenscroft, Hackett and Oliver Spencer, the casual combining of different suits has been brought into the mainstream. Pairing a navy blazer with grey trousers gives a look a laidback approach to tailoring- it’s all about finding the right balance.